We have demonstrated the use of a simple single ion trap mass spectrometer to identify classes of compounds as well as individual components in complex mixtures. First, a neutral reagent was used to mass tag oxygen-containing analytes using a gas-phase ion/molecule reaction. Then, a neutral loss scan was used to indicate the carboxylic acids. 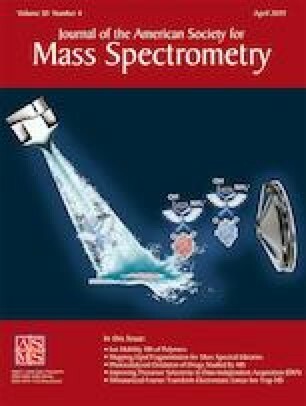 The lack of unit mass selectivity in the neutral loss scan required subsequent product ion scans to confirm the presence and identity of the individual carboxylic acids. The neutral loss scan technique reduced the number of data-dependent MS/MS scans required to confirm identification of signals as protonated carboxylic acids. The method was demonstrated on neat mixtures of standard carboxylic acids as well as on solutions of relevant pharmaceutical tablets and may be generalizable to other ion/molecule reactions. The online version of this article ( https://doi.org/10.1007/s13361-019-02149-y) contains supplementary material, which is available to authorized users. The authors acknowledge funding from Merck & Co., Inc. and from NASA Planetary Sciences Division, Science Mission Directorate (NNX16AJ25G). This work was also funded by a NASA Space Technology Research Fellowship (DTS). Ryan Hilger and Mark Carlsen (Jonathan Amy Facility for Chemical Instrumentation) are thanked for modifications to the LTQ instrument for orthogonal double resonance capabilities. The authors finally thank Dr. Joann Max (Eli Lilly) for help with ion/molecule reactions and Rob Schrader for the table of contents graphic.